Metal building maintenance should be done as needed but at least two times each year. 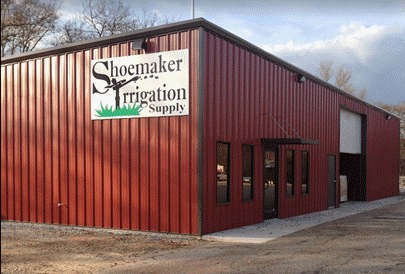 While metal buildings are relatively low maintenance, it doesn’t mean they are no maintenance. From the day your building components arrive on site through the life of the building, it is important to check for needed repairs and keep your structure clean. Maintenance of your metal building begins when it is delivered to the job site. Each of the components should be inspected for any damage and reported to the manufacturer for replacement. Components will include the steel structure, nuts and bolts, screws, etc., optional insulation, roof and wall panels and any windows and doors that are included in the design. Check each piece carefully, paying attention to chipped paint on panels and any rips or damage to the insulation. Good manufacturers take extra precautions when packing components for shipment but accidents do happen. Take pictures of any damage so you can communicate effectively with the manufacturer(s). Having a solid building from the onset will help reduce repairs going forward and provide a durable metal building structure for decades. Mark your calendar for building inspection at least two times a year. Depending on your location, spring (after the last freeze/snow) and fall (before the winter weather sets in) are good times to walk the perimeter (inside and out) and look for issues that need attention. In the spring, you’ll be looking for any possible damage caused by cold or snowy weather. And in the fall, you’ll be looking for weaknesses that may not withstand the upcoming conditions like ice and snow. Pay particular attention to how your building is handling snow and channeling rain. Metal buildings today are built to code and should be engineered to withstand typical snow loads in your area. During maintenance, look for any compromise in your panels and be mindful of any build up of water around your base and foundation. If you didn’t install gutters and downspouts during initial construction, you may need to add them if pooling is a problem. Fix and repair all issues, no matter how small. And keep a record of the maintenance so you can check your repairs during the next inspection. If you see a chip in your panel, repair it with primer and paint. If you see a gap, be sure and use a weatherproof sealer (or appropriate material) to fill the whole and prevent any water from entering your building or damaging adjacent components. Another important part of maintaining your metal building is to wash it. Removing dust, mildew and other irritants will help keep your building’s warrantied coatings intact. Using a mild detergent and soft brush, hose down and scrub your entire building. If necessary, bleach can be added to the detergent to get tougher spots clean. Before washing the building, always test your cleaning solution for compatibility with the building’s surface materials; select test sites that are normally concealed. You’ve invested a good deal into your metal building; take care of it. It’s easy to neglect little projects after the “newness” wears off. 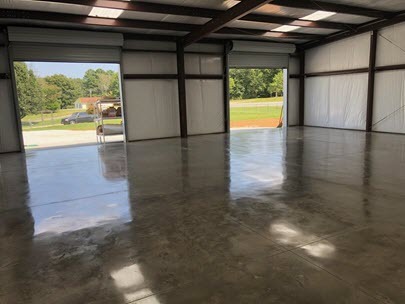 But if you inspect and maintain your metal building on an regular basis, it will continue to be a low maintenance, durable structure for your life.